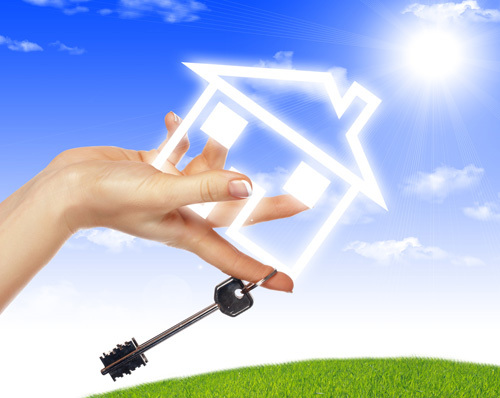 The House in the hands against the blue sky as a symbol of the real estate business. What establishes the fair market value of your home? The most accurate answer is E.
The definition of the term fair market value is as follows – “Fair market value (FMV) is an estimate of the market value of a property, based on what a knowledgeable, willing, and unpressured buyer would probably pay to a knowledgeable, willing, and unpressured seller in the market. An estimate of fair market value may be founded either on precedent or extrapolation. Fair market value differs from the intrinsic value that an individual may place on the same asset based on their own preferences and circumstances”. Fair Market Value is the price that a buyer is willing to pay for your home. F is a practical answer. The appraisal is going to play an important role in establishing the fair market value based on sold comparables, however, the appraisal only gives you an estimate and never establishes the value 100%. If you are not able to call in an appraisal before putting the house on the market, always ask you real estate agent to perform a CMA. Look to your real estate agent to educate you on the conditions of the local market. Factors such as location, features and condition of the house will directly affect the attainment of the highest and best price for the property. Furthermore, your own circumstances such as the reasons why you’re moving in the first place, will influence your decision making process. All things considered, ask yourself again – are you really giving your house away? Or are you simply getting the best possible offer under the current market conditions? P/S Remember: You will only sell your house if you are willing to accept the offer. Keyword is willing. In the end the choice to sell or not to sell is always yours.